Availability:: Today's orders are expected to ship sometime in May. Order now to reserve yours. The Channel Islands of California are a chain of eight islands located in the Pacific Ocean off the coast of Southern California along the Santa Barbara Channel. Five of the islands are part of the Channel Islands National Park. Whether you live on or near the islands or you simply enjoy visiting, this Santa Barbara and the Channel Islands nautical chart makes great home décor and a perfect gift for boat owners. 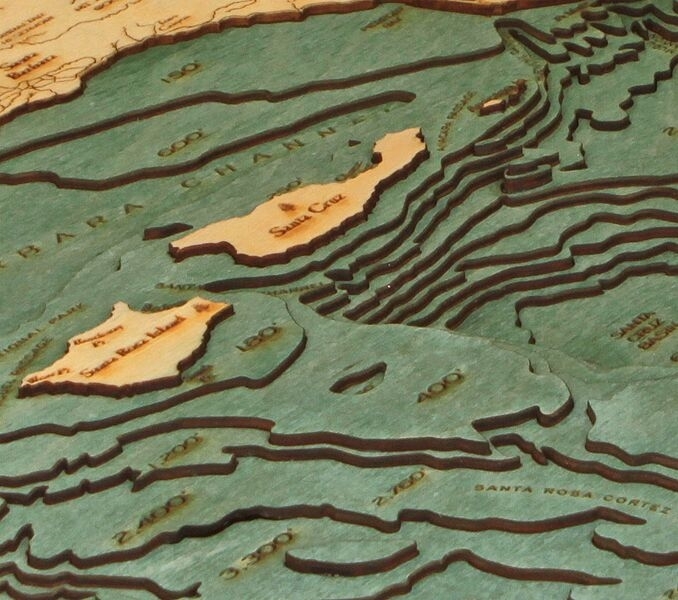 Our Santa Barbara and the Channel Islands 3D nautical wood map accurately depicts the shoreline and bottom contours of Santa Barbara and the Channel Islands. They are carved in Baltic Birch wood, framed with solid wood, and are crystal-clear acrylic covered. 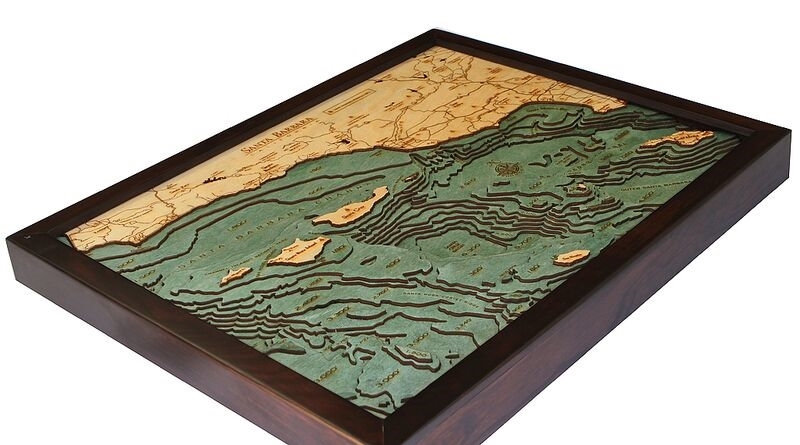 Intricate detail is both carved and laser etched into the artwork to create realistic and attractive maps that show precise shorelines, depths, landmarks and lettering. Our own finishing techniques bring out the Baltic Birch’s natural grain. 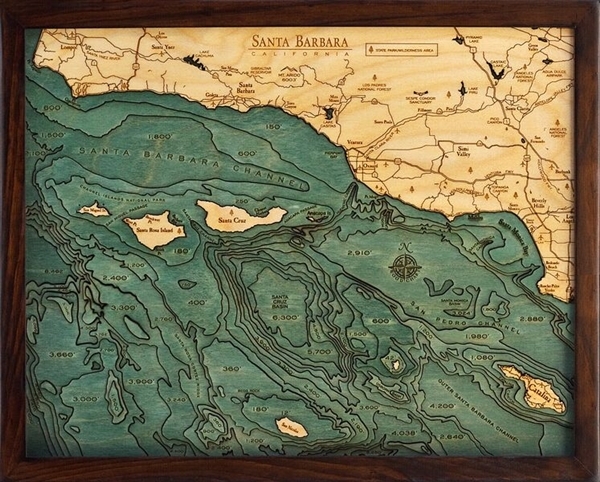 Order your Santa Barbara and the Channel Islands 3D nautical map from Carved Lake Art today to get the most detailed chart on the market at the best price! Have a question? Get in touch! Carved Lake Art is here to help. Check out this Custom End Table of Santa Barbara. there was an option to click "gift" which i did, the box came labeled NAUTICAL WOOD CHARTS MADE IN CHINA... so it sorta ruined the surprise.. whats the point of clicking GIFT then? map is a beauty though, only a few spots where the glue was too much and squished between layers,. customer service was responsive in talking to me via email. would order again.